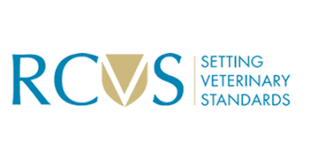 The Royal College of Veterinary Surgeons (RCVS) has issued a position statement concerning the impact of a ‘no-deal’ scenario on the UK veterinary profession and associated sectors. It details a number of concerns regarding the potential risks to animal welfare and public health due to the impact on the veterinary workforce. Amanda Boag, RCVS President, stated: “We are aware of arguments in recent months that suggest a ‘no-deal’ scenario would be an acceptable outcome in terms of the veterinary profession’s role in protecting animal health & welfare, and public health, in the UK. Given the information contained in the government’s recent Technical Notices, alongside the recent recommendations of the Migration Advisory Committee, we are far from convinced that this is the case. “Each year about 1,000 vets who qualified in the EU join the UK Register, making up around half of our annual intake. These EU graduates play a key role across all veterinary sectors including clinical practice, academia, research, and, of course, public health, with about 95% of vets working in UK public health having trained in the EU. With a predicted increase in demand of 325% for veterinary-certification in a ‘no-deal’ scenario, we will need these vets more than ever, and it is not yet clear how effective current government plans to ameliorate these additional certification requirements will be. “A no-deal Brexit would also increase barriers to veterinary recruitment. Under current rules, all graduates of EU veterinary schools have the automatic right to register as vets in the UK, as well as live and work here, but if those agreements are dissolved all of this would change. We are lobbying the Home Office to place vets on the Shortage Occupation List but this would not be a catchall solution, nor is it easy to recruit large numbers of vets from outside the EU, as we have no assurance of their educational standards in the way we do with most EU vets.